At Oriental Healing Oasis & Wellness Center LLC, we are dedicated to helping you live a pain-free life and be as active as you wish. In the years since we began providing our services, many people have passed through our doors well on the way to a full recovery. Whether you suffer from a chronic condition or injury, or are recovering from surgery, our skilled therapists will work with you to lessen pain, speed healing and support strengthening. From elite athletes to those who lead less active lifestyles, we’ve helped many people in the local community. Like many of you, early on in life I struggled with my own health issues. Growing up in a family of medical practitioners and therapists; my continuous exposure to Western Medicine along with my own experience, taught me early on the importance of ‘Whole Body Healing’ to include Body, Mind & Spirit. It was this early influence that I developed a need to understand more. With curiosity, I pursued and devoted 12 years to full-time academic study, resulting in a core education that would provide the platform for the practice I have today. The combined disciplines I learned over the years have enabled me to give my patients a whole-body perspective that inevitably creates a positive change in how they feel. Specializing in Pain Management, I have received high recommendations, referrals and authorizations from the VA (Veteran’s Administration) in Milwaukee, Madison and North Chicago. We have been helping Veterans in our community for more than a decade now, servicing those in S.E. Wisconsin and those coming from N.E. Illinois. Not only do we help alleviate pain with the most chronic conditions, we help battle the opioid epidemic. In my practice, I have effectively treated a wide range of acute and chronic health issues. Additionally, I have successfully helped several couples with infertility issues, resulting in pregnancies that have produced beautiful healthy children. With more than a decade in private practice and having been a lifetime resident in the Burlington area, I am personally invested, always striving to improve the quality of health in my patients. It gives me great pride to know that the highest compliment received; is the continuous recommendation of my patients to their friends and family over the years. In 2018, Charlotte received the Honorary Women of Distinction Award for demonstrating dedication, leadership and professional excellence. Her compassion and expertise set the standard in the industry. Class of 2008, Charlotte received her Master of Science degree in Oriental Medicine and a Bachelor of Science degree in Nutrition from the Midwest College of Oriental Medicine in Racine, WI. She is nationally board certified by the National Certification Commission for Acupuncture and Oriental Medicine (NCCAOM) and licensed by the State of Wisconsin. She obtained nearly 3,000 hours of academic and clinical training from the on-site College and Community clinics in Racine, where she practiced Acupuncture, Chinese Herbal Medicine, Nutrition and accessory modalities including: Cupping, Gua Sha, Moxibustion, Tui Na & Qi Gong. Class of 2004, she graduated with her Bachelor of Arts degree in Psychology and Neuroscience from Carthage College in Kenosha, WI. In addition to the required neuroscience courses, much of the core curriculum included disciplines in the human sciences such as: Chemistry, Biology, Anatomy & Physiology and Pathology. Additional religious studies included courses in: Spirituality, Confucianism, Buddhism, Taoism & Hinduism, combined with a month of international travel through the country of India visiting ancient religious temples and pilgrimage sites. This platform spurred on the interest for a need to know more in alternative healing methods and was the basis of her continuing education in Asian studies to include Traditional Chinese Medicine. Since opening her doors in Burlington in 2009, she has been involved in the local community by opening up her clinic to public and parochial schools from K-12 and colleges with nursing students for mini-field trips, lectures and observation. She enjoys the enthusiastic response she receives when sharing alternative concepts in health care to new generations of young eager learners, curious about how acupuncture works. Nakiva M. Richards MSOM, L.Ac. Nakiva specializes in Preventive Medicine, chronic conditions, and the management of pain. Her vision is to empower each patient with restoration of their best quality of life and to help meet health goals. Passionate in her use of Traditional Chinese Medicine to return order, structure, and function to the body, is complimented well by Nakiva’s strong knowledge of nutrition to renew, balance, and detoxify the body. 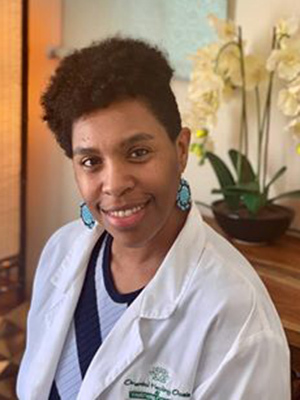 Having a rooted connection to the community around her and the desire to serve, Nakiva delights in showing others how Acupuncture can make a lasting difference in reducing or eliminating their pain score. In practice, Nakiva has successfully improved the health of her patients by treating a variety of both acute and chronic conditions while focusing on Nutrition and Weight Management. Class of 2009, Nakiva attended the Midwest College of Oriental Medicine in Racine, Wisconsin receiving her Master’s of Science degree in Oriental Medicine and a Bachelor’s of Science degree in Nutrition. She then continued on to the Doctoral Program offered by Midwest College of Oriental Medicine in Chicago where she completed her coursework on Preventive Medicine. Licensed by the State of Wisconsin, Nakiva passed all exams becoming board certified by the National Certification Commission for Acupuncture and Oriental Medicine (NCCAOM) in 2011. Kristy is a Certified Hypnotherapist with over 25 years of experience specializing in weight loss and smoking cessation disciplines. She has provided help to individual groups and worked with corporations to provide group sessions for their employees. 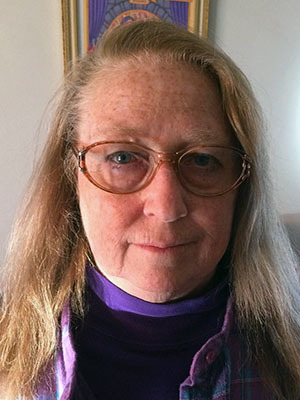 Kristy had spent over 30 years as a former Certified Independent Social Worker (CISW) and Psychotherapist (now retired). 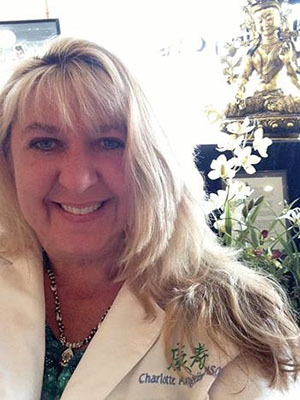 Over the years, Kristy has been a practicing Reiki Master, helping those achieve restorative balance with mindful meditation for more than two decades. She is also very passionate about her love of art and spirituality, combining the two forms into her own form of art therapy that has enriched the lives of many. Kristy loves to participate in local events, including the Bristol Renaissance Faire allowing her to share her passion of art with the community. All of these combined modalites and experience enhance her Hypnotherapy sessions with her clients. Placements for M.S.S.W. program were on the V.A. Psychiatric in-patient and out-patient service along with an admissions rotation involving referral, assessment and crisis intervention in the V.A. system. Worked in the nursing department at the V.A. hospital for two years while attending MATC for LPN program. Acquired over 100 hours of Etoh counseling under supervision while completing educational portion towards certification for alcohol and drug counseling through De Paul Hospital Milwaukee. Past Vice President and President of ARMS (Association of Regional Medical Social Workers). Completed one year educational program at Milwaukee Psychiatric Hospital in Cognitive Therapy training. Certified Hypnotherapist since 1994. Have presented individual and community groups for hypnosis and smoking cessation as well as weight loss. Received Certification for Reiki Master in 1998 and have presented lectures and demonstrations of same. Member of and attended meditation classes with C. Roberts of Glendale from 1989 to 1994. Spiritual Artist since 1989. In the spirit of Traditional Chinese Medicine, the primary goal of Oriental Healing Oasis & Wellness Center LLC is to provide our patients with a broader understanding of health and a more lasting sense of well-being. Instead of the traditional disease-centered focus of conventional medicine, TCM applies a patient-centered approach that addresses the whole person rather than simply his/her symptoms. We combine the discipline of modern science with the wisdom of ancient healing and take advantage of the knowledge of several disciplines including Acupuncture, Herbal therapy, Reiki, Massage therapy and more. What this means is that patient and provider work together to develop an integrated diagnostic and therapeutic plan that will best address the whole patient. We are fully licensed and insured, and strive to give our patients the best possible care. We will work with you to determine which treatment is best for you, and make sure that it is safe for you to follow. Support the healing systems inherent in the body and mind by using methods, medicines and techniques that are in harmony with natural processes. Preference for treatments which minimize the risks of harmful side effects. Trust in the body’s inherent wisdom to heal itself. Every illness has an underlying cause, often in aspects of the lifestyle, diet or habits of the individual. TCM Practitioners are trained to find and remove the underlying cause of a disease.